This luxurious book with abundant, opulent photos will make for the perfect gift for all opera lovers. A lavish, visual exploration of twenty-five of the world’s most beautiful opera houses. La Scala, the Bolchoï, le Palais Garnier-opera houses are mythical places that evoke dreams and creativity. For centuries, these temples of the arts have been dedicated to the creative work of Mozart, Verdi, Tchaikovsky and Nureyev, and have been designed to allow brilliant performers to display their talents amidst sumptuous costumes and sets. The opera houses featured in this book are located in cities that span the globe. La Scala, the Bolchoi, le Palais Garnier–opera houses are mythical places that evoke dreams and creativity. For centuries, these temples of the arts have been dedicated to the creative work of Mozart, Verdi, Tchaikovsky and Nureyev, and have been designed to allow brilliant performers to display their talents amidst sumptuous costumes and sets. Created by some of the most talented architects, builders and designers of their generations, opera houses have inspired veneration from audiences for centuries, from royalty and commoners alike. 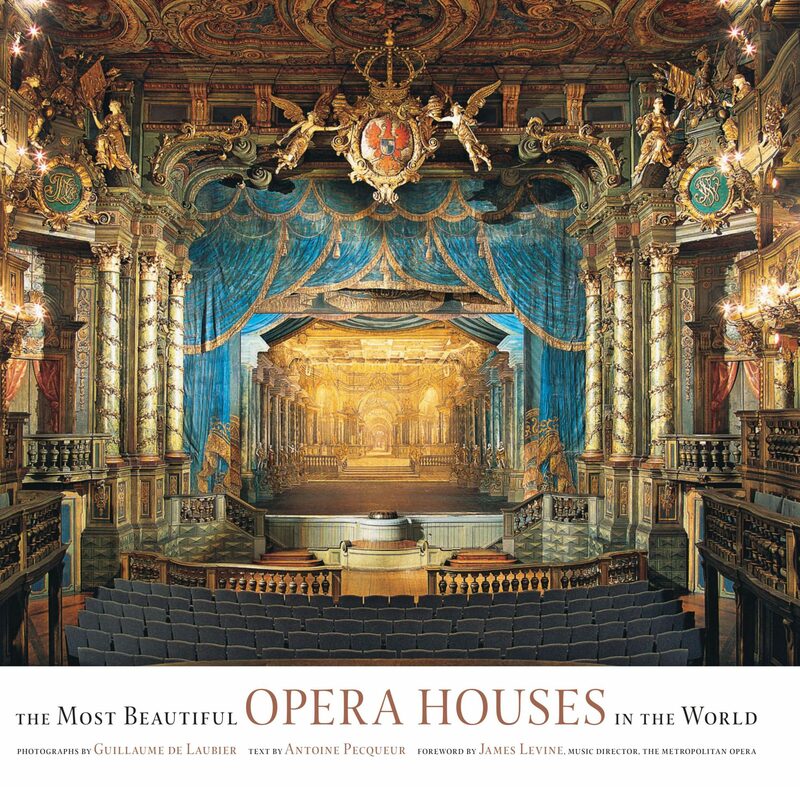 Moving from Sydney to Covent Garden, from Beijing to Saint Petersburg, from Oslo to Manaus, from le Petit Trianon to New York and San Francisco, photographer Guillaume de Laubier and journalist Antoine Pecqueur explore twenty-five of the world’s most beautiful opera houses. They offer us a greater understanding of their architectural role, as well as their place in history. Whether baroque, romanesque, or minimalist, opera houses bear witness to the tides of history and to the ideals of those who built them. In addition to the sweeping views of ornate auditoriums and facades, the book opens doors normally closed to the public, entering the artists’ dressing rooms, rehearsal halls, scenery workshops and more, presenting a wide-ranging and compelling look into the spectacular world of the opera.